There are several booklets about the many waterfalls in Zambia as well as a diary written and illustrated by well-known Zambian artist, Quentin Allen. 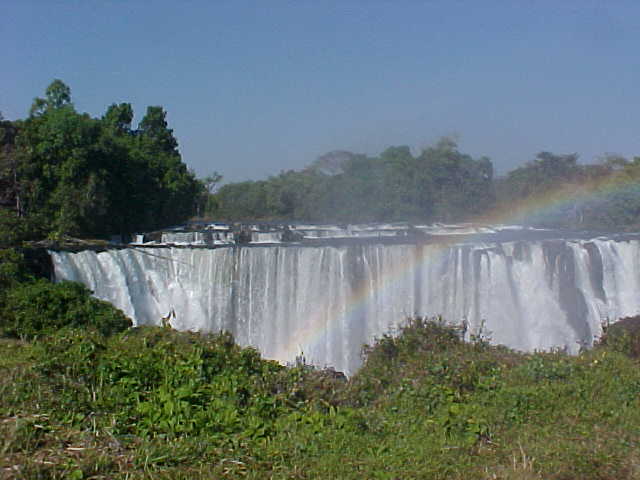 Here is a small report on another waterfall tour in Zambia’s Northern and Luapula provinces. 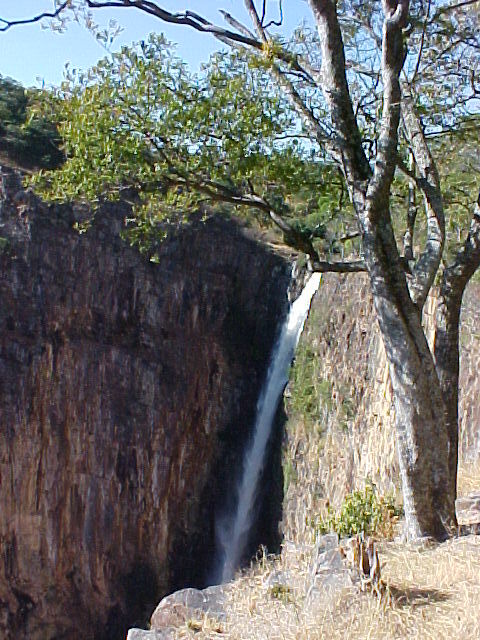 Travelling from Lusaka, the first falls you could visit, after turning right at the signpost shortly after Serenje, are the Kundalila Falls. 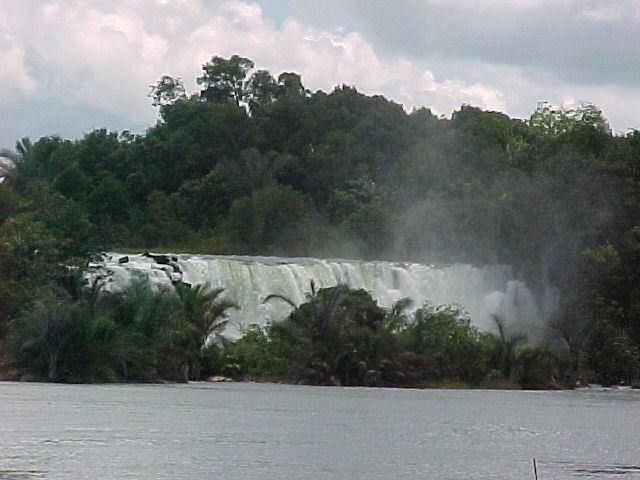 Just follow the noise of water from the Kaombe River thundering down and you will see the falls. For a proper walk, follow the path down to the foot of the falls and have a swim. You could either picnic, or camp overnight. (The signpost is not very clear on that.) You may be lucky and meet the caretaker. Do bring all your own food and camping gear. 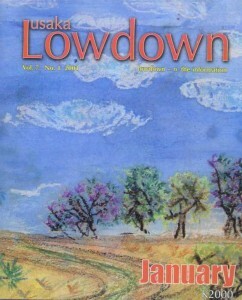 Back on the road to Mansa, there is another turn off to Lubwe. A dirt road will lead you to an old Catholic mission, where there is a hospital with probably the most healing view in Zambia. If you have a boat it would be great to spend a day on the lake. There is no accommodation available, as far as I know. Further on, you will cross the Kalungwishi River by pontoon although a bridge is being built. 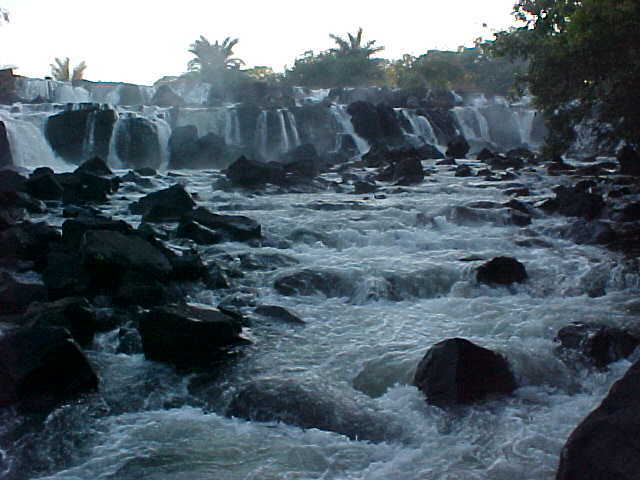 The Lumangwe Falls are signposted and another signpost mentions a guesthouse. 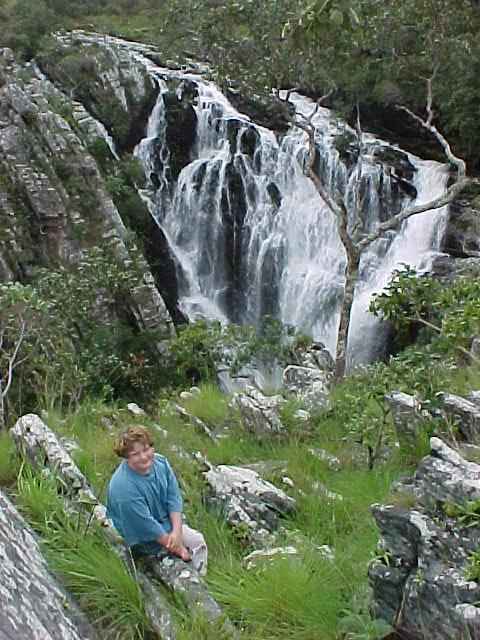 You will probably have these falls all to yourself except for a few baboons. Enjoy camping along the river. There is a caretaker whom you may possibly meet up with. When we were there, a dead tree was hanging over the edge, giving an excellent view. 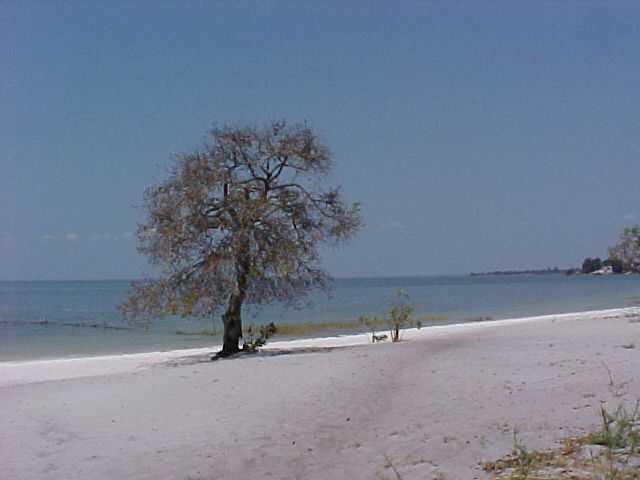 Off to Mporokoso and the Chishimba Falls, 35 kilometres before Kasama, but further up north there are other good spots to visit: Kasaba Bay, Kalambo Falls and Mbala with its Moto Moto Museum. The dirt road from Mporokoso to Kasama is easy to drive in the dry season, but looking at the tracks it is advisable to use a four wheel drive vehicle in the rainy season. Walk around the falls and you will find plenty of scenic spots. Here you definitely will find the caretaker, but you should ask him to show you the proper paper with fees for local or international guests. Back on the road again, head to Kasama and fill up your tank and picnic boxes. The Kasama to Mpika road is being worked on, which will save you some time and plenty of headaches. Head to Mpika, but take a detour to spend the night in one of the chalets or at the campsite at Kapishya Hotsprings (kapishya@zamnet.zm). Yes, there is a waterfall there as well. After reading Africa House, of course you want to see Shiwa house for real. Still on your way back to the Great North Road, buy cheese, yoghurt, crafts and greeting cards at Mpandala. Then at the end of the dirt road, turn right to Mpika. From Mpika to Lusaka it will take you about seven and a half hours of easy driving after the roadworks. If you want to have another overnight stop, there is the Sweetwater Guesthouse or Forest Inn. Or you could have saved Kundalila Falls until last. Having seen and enjoyed the beauty of these waterfalls in unspoiled, remote areas, I think it is necessary to remind you to take all your litter with you or burn it.